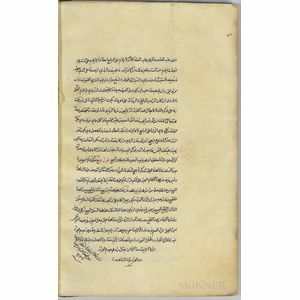 Arabic Manuscript on Paper, Feqh, Jurisprudence , 1239 AH [1824 CE]. 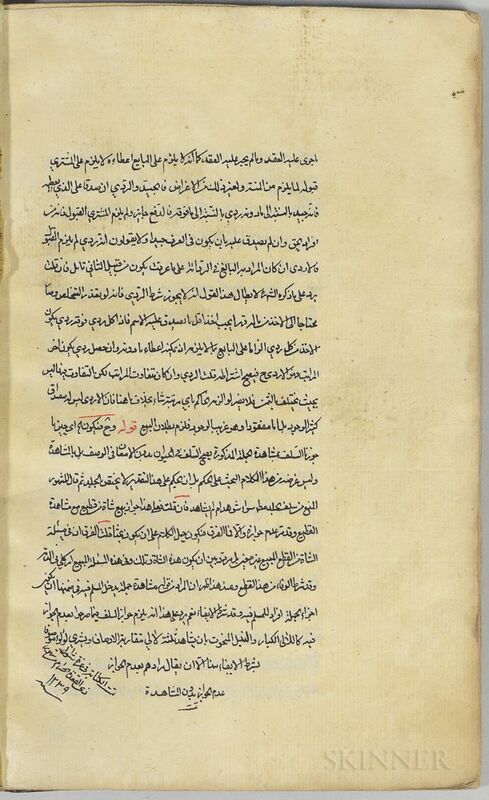 Arabic Manuscript on Paper, Feqh, Jurisprudence, 1239 AH [1824 CE]. Octavo manuscript on laid polished paper, approximately twenty-one lines per page, text in black ink with red, bound in limp dark goatskin, approximately 100 leaves, 8 1/4 x 5 1/4 in.